The building science professionals at Clark Seif Clark work to detect exposure hazards to keep families, building occupants and workers safe. Exposure in these properties to strong odors or elevated levels of mold, particulate matter, dust, dust mites, pet dander, and rodent and cockroach allergens can all cause respiratory issues. Last month, USA Today published a story about a California couple who plead guilty to charges associated with hoarding approximately 170 dogs in their home in Poway, California. According to the article, many of the dogs were in poor condition and the home was covered in animal waste. Compulsive hoarding, whether it be with pets or just material items, is estimated to affect between 2 and 5% of the population. It is a pattern of behavior where the excessive acquisition of items and the inability to discard items can result in a person’s home being overrun with stuff. For those who suffer from compulsive hoarding, it can have numerous negative social consequences and create health and safety concerns. 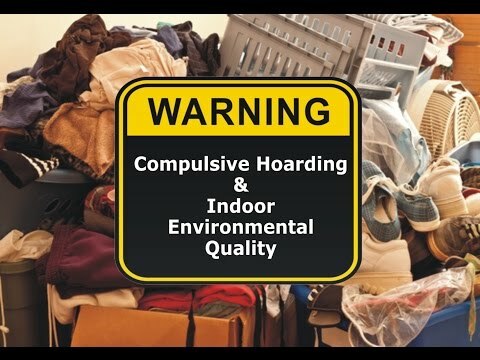 Indoor environmental quality (IEQ) issues are very common in the homes of compulsive hoarders. These range from exposure to mold, bacteria, odors, dusts and particulate matter (PM) to ventilation and humidity problems. To learn more about this or other indoor air quality, property damage, environmental, health and safety testing services, please visit www.csceng.com, email csc@csceng.com or call (800) 807-1118.